The Panasonic DC-TZ90 is a compact camera that shoots 4k video, and with an incredible 30x optical zoom. I put it through its paces, and figured out if it’s really worth the $450 price tag. Read on to find out, or watch our video review below. The TZ90 (also known as the ZS70, depending on your region) has a 30x optical zoom provided by the Leica F4.3 – F6.4 lens. This is equivalent to roughly 24mm – 1000mm, +/- 20% in 35mm terms, and this varies depending on the shooting mode. A 0.20 inch live view finder is complimented by a 3 inch touchscreen, which also flips up for vlogger-style selfies. 4k video is recorded at a resolution of 3840 x 2160 pixels, at 30/25 frames per second (FPS). Full HD video capture (1920 x 1080 pixels) is available at 25, 30, or 60 fps. Slow motion video can be recorded at 100fps in 720p, or 200fps in VGA (bleh!). It’s no surprise that this camera cannot record high resolution slow motion, especially when Panasonic’s flagship GH5 can “only” record 180fps in 1080p — a camera that costs 4x as much! A 5-Axis hybrid optical image stabilizer (O.I.S.) ensures that images come out sharp, and video is smooth and not shaky. 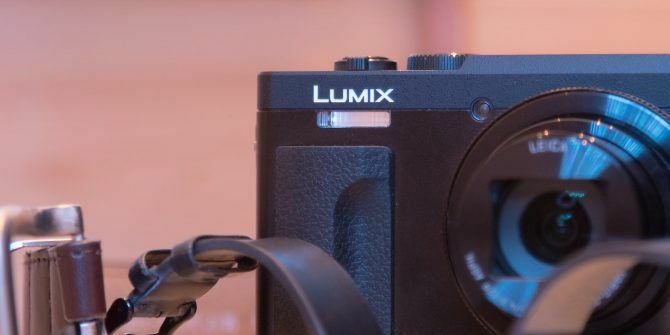 While is not quite as good as the in-body stabilization found in the G80/G85 Panasonic Lumix DMC-G80/G85 Review Panasonic Lumix DMC-G80/G85 Review The Lumix G85 is Panasonic's latest mirrorless camera, and it packs a serious punch in the video department, with HDMI out and 4K recording - all for $1000! Read More , it works remarkably well, especially at longer focal lengths. Like many Panasonic cameras, the TZ90 comes with a raft of features, including 4k HDMI output (playback only), focus peaking, 4k photo mode, post focus, face detection, and more! So many high end DSLR and mirrorless cameras (looking at you Canon) don’t have these features, so it’s always exciting to see what Panasonic will come up with next. Battery life is enough to shoot 4k video for one hour, although this is limited to 15 minute clips — presumably to prevent overheating otherwise. Realistically, you can expect to get through a whole day of casual use on just one battery. No charger is included, so you have to charge the battery in the camera with the included micro USB cable. While a few spares batteries never hurt anybody, USB charging means you can charge this camera on the go with a USB power bank RAVPower 20100mAh AC Charger Review: Power All The Things RAVPower 20100mAh AC Charger Review: Power All The Things Like most of us, I take the availability of electrical power completely for granted. Read More ! Measuring 4.41 x 2.65 x 1.62 inch, and weighing 322g with a memory card, the TZ90 is quite a substantial size. While not as large as a DSLR, it’s still a chunky size, and certainly something you will notice in your bag. One of the most impressive features of this camera is the 30x optical zoom. To put into perspective just how crazy this is, Canon’s super telephoto 800mm lens costs well over $12,000. This covers wide angle to super zoom, and everything in between, with no loss of quality. It’s good enough to zoom from my office, right up to Lincoln castle, and capture visitors and the flag on the turret (approximately 2 miles away)! Using a zoom of this calibre does present some problems — the tiniest of movements get amplified into movement across several feet on the other end, so it’s best utilised on a tripod, or somewhere slightly wider than the extreme zoom. At 24mm equivalent on the wide end, this lens is fairly wide angle. This wide angle is reduced (and maximum zoom increased) to about 35mm when shooting 4k video. This increase in the crop factor is something we’ve seen before on cameras such as the GH4, but it’s not a particularly annoying feature. The TZ90 is surprising to use. Despite its chunky size, the camera is simple enough to use… most of the time. While the menus are easy to navigate, shooting photos in anything other than auto is a terrible experience! While manual video mode provides quick and easy access to the essential controls, manual photo mode does not! It baffles me why Panasonic would move the controls around depending on photo or video — after all, shutter speed, aperture, and ISO all need to be changed regardless of what mode you are shooting in. The biggest problem with shooting photos in manual mode is the strange absence of constant preview. Constant preview means what you see is what you get. If you take a picture, you can be confident that the image on screen is what the final exposure of your photo will look like. Panasonic have for some bizarre reason, decided not to include constant preview. If you half press the shutter button, the on screen image will change to show your current exposure, but releasing the shutter button will make the display jump back to what it thinks is a good exposure. This is all well and good, but if you’re shooting in manual photo mode, it’s unnerving to know that the image on screen is not necessarily what your photo will look like. Note: lack of constant preview only impacts manual photo mode — all other modes are unaffected. This camera is generally quiet, save for the occasional beep (which is easy to disable in the menu). As it is technically a mirrorless camera 5 Reasons to Consider a Mirrorless Camera Over a Digital SLR 5 Reasons to Consider a Mirrorless Camera Over a Digital SLR Are mirrorless cameras better than DSLRs? Has improved tech made them more viable for enthusiasts and professionals? We take a detailed look to find out. Read More , the TZ90 has a mechanical and electronic shutter. This means you can disable the mechanical shutter, and simply use the electronic shutter, if you wish to preserve the life of your mechanical shutter, or simply cannot tolerate any noise whatsoever. This camera is generally fun to use, but it does take a bit of time to start up. 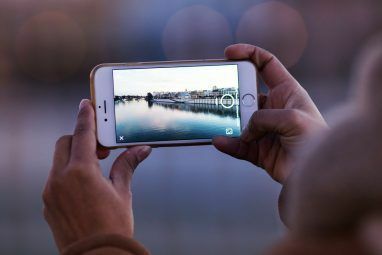 If you’re wandering round with the camera turned off, you may need to anticipate any upcoming events and ensure the camera is powered up in good time — especially if you’re shooting video. Many times I turned the camera on and pressed record, only to find out that nothing has been recorded, as the camera was still powering up, despite giving the illusion of being turned on. Autofocus on this camera is for the most part, very good. If you’re shooting through objects such as a chain link fence, or want to focus on a very small area at the far end of the zoom, it can struggle, but it generally nails it in most normal circumstances. I’m delighted to report that autofocus is very good in video mode as well! Video autofocus is where most cameras traditionally fall down. Sure, it’s not as good as recent Sony cameras such as the A6300 Mirrorless to Impress: Sony A6300 16-50mm Kit Review Mirrorless to Impress: Sony A6300 16-50mm Kit Review Following on from the massively popular A6000, comes the A6300, a small interchangeable mirrorless camera with an APS-C sensor, 4K video capabilities, and more features than most enthusiasts will ever need. Read More , and it did occasionally lose focus mid shot, and then slowly find it again — in what feels like an eternity, but for the most part, it does a decent job. If you’re shooting photos, or video to edit later Essential Video Tutorials For Shooting & Editing Video Essential Video Tutorials For Shooting & Editing Video Read More , then you’ll generally be happy with the autofocus. Check out the review video for lots of autofocus examples. Can You Vlog With It? In short, no. While the image quality and features are good enough for the busy YouTuber, it lacks some basic features that make vlogging difficult (but not impossible). Like all video cameras, audio quality from the built in microphone is rather underwhelming. I would recommend you connect an external microphone such as the Rode VideoMic Pro, but this is somewhat impossible as there is no external mic in socket or hot shoe mount! This camera’s thick size and flip screen are excellent for vlogging, and it’s square body makes it easy to hold. If you can live with the poor audio, you may get on swimmingly using this as a vlogging camera, but it’s not ideal. Note: all of these sample images are from the in-camera JPEGs. None of these photos have come from RAW files or have been edited in any way. Image quality is surprisingly good for such a small camera! RAW files come out at around 24 MB, and JPEGs are 7 MB. A nice depth of field can be achieved, in part due to the compression provided by such a long lens. This lens also excels at close range focusing, even without the dedicated macro mode. The long lens really helps you to photograph subjects — particularly ones that may not be so friendly if they knew you were taking their picture! While picture quality is good on this camera, most modern smartphones such as the iPhone 8 iPhone 8 Review: Smart Phone, Dumb Upgrade iPhone 8 Review: Smart Phone, Dumb Upgrade You can ultimately evaluate the iPhone 8 without ever picking it up, if you own a 6s or 7. It's a refinement of what came before, with unrealised potential in its wireless and fast charging... Read More will probably beat it. 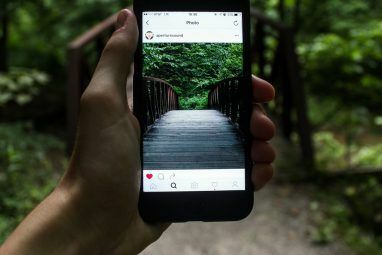 While the TZ90 can achieve some looks that are hard for smartphones to match, mobile photography is so good now, that it can be hard to justify a dedicated camera — especially one so large for a point and shoot. Colors look excellent, and pictures come out looking clear and sharp. Push the ISO too far however, and image quality begins to suffer — this certainly is not a camera for low light, or any dimly lit indoor activity, for that matter. The TZ90 is surprisingly efficient in its video file sizes. A 1 minute 4k video is approximately 750 MB, whereas a 1080p clip of the same length is 200 MB. While image quality and sharpness does suffer slightly when shooting video, you’ll be more than happy with the results unless you’re filming Blue Planet II. Just like photo mode, scenes with wide dynamic range may suffer. As you can see here, parts of the image in shadow are correctly exposed, but the grass in direct sunlight is over exposed. Make sure you watch our video review above to truly see what this camera is capable of in terms of video quality! That rather depends. If you want outstanding quality, perfection, and the perfect camera, then perhaps not. As a general purpose camera, with a few neat features thrown in, then the Panasonic DC-TZ90 is an excellent choice! But if you’re looking for something with a few more options, then take a look at our 2017 DSLR buying guide The Best DSLR Camera for Your Money in 2017 The Best DSLR Camera for Your Money in 2017 Although cell phone cameras get better every year, nothing beats a digital single-lens reflex (DSLR) camera. DSLR cameras deliver top-tier photo quality, versatility, and longevity. But what's the best DSLR for your money? 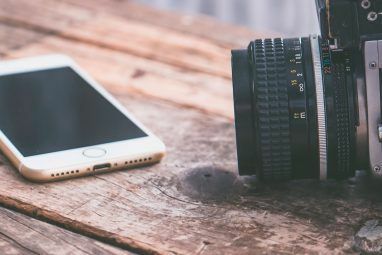 Read More , and don’t forget to check out our photography guide A Beginner's Guide To Digital Photography A Beginner's Guide To Digital Photography Digital photography is a great hobby, but it can be intimidating, too. This beginner's guide will tell you everything you need to know to get started! Read More ! What an awesome giveaway and even priced to sell!!! A fabulous dream camera! Thanks for the wonderful offer! I have an older Lumix ZS25 that I use a lot and generally like the picture quality. And it does a good job in low light situations. If this one isn't as good, I wouldn't even consider it. But there is one feature that I miss from my old film SLR days. That is setting the camera on a tripod, closing the F stop down to f22 and have it hold open the shutter as long as it takes to get a good picture. If this one could do that, I'd definitely consider it. Wish I could win this Camera. Wanna use it to replace my old Fujifilm Camera. I bought this camera to film concerts and love it so far! If you want to see a couple samples of the first concert I shot with it search youtube for "toadies lumix". Since then I've filmed with the continuous focus turned off and gotten much better results. In the future I'm going to be getting a separate high quality audio recorder to have much better sound quality to dub in. LOL. 90% of readers aren't going to know what "negatives" are. I really hope I win this. I love taking pictures. Its a big hobby for me. IN THE PAST I DID NOT USE CAMERAS MUCH, BUT THAT HAS CHANGED, I AM NOW AN AVID PICTURE TAKER!!!!! !